The 30-track career-spanning compilation (see song list below) presents material from all the UK band’s legendary studio albums, and includes the digital debut of the Sunset Sound Mix of “Rock And Roll” following its arrival earlier this year on Record Store Day as a limited edition 7-inch vinyl single, which is now the best-selling release in Record Store Day history. 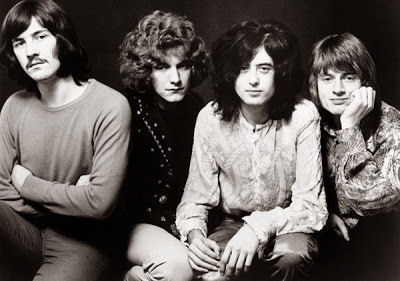 “Led Zeppelin x Led Zeppelin” is one of three new digital-only packages that surfaced last week as part of the band’s 50th anniversary celebrations – alongside the 10-track “An Introduction To Led Zeppelin” and the digital version of the group’s first ever Record Store Day release, as outlined above. On October 9, Led Zeppelin will publish “Led Zeppelin By Led Zeppelin”, the first and only official illustrated book to be produced in collaboration with the members of the band. The 9th Circuit Court of Appeals in San Francisco has overturned a 2016 jury verdict that found that the British band did not steal any original music from "Taurus," a 1968 track by the Los Angeles band Spirit.